iPads are available on the wall outside of each of the new innovation hub rooms. These iPads display the reservation schedule for the current day for that space. Same day reservations can be made on each rooms iPad. 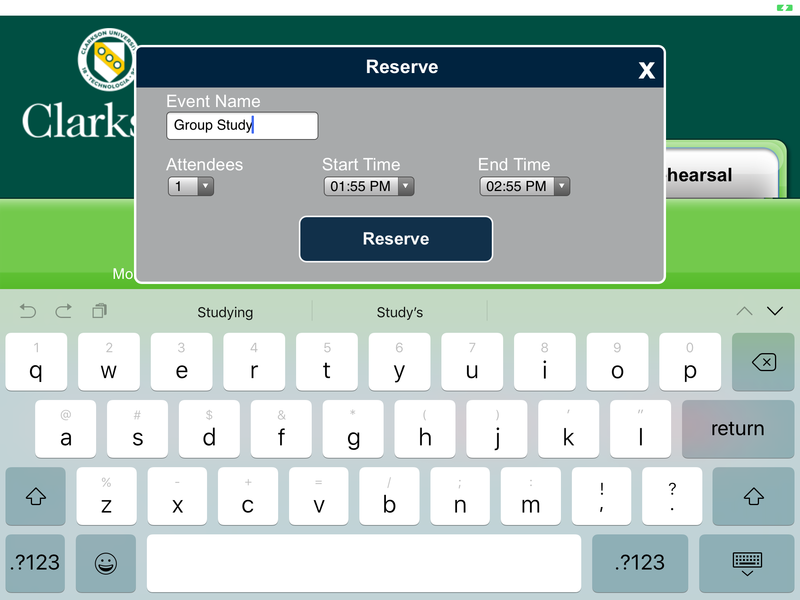 Step 2: Enter the Event Name, number of attendees, start and end times for your reservation. Rooms may be reserved for up to 3 hours at a time. Click "Reserve" when you're finished. Step 3: Your reservation has now been placed and will appear in red on the room schedule. Make sure to check-in on the iPad within 15 minutes of your reservation start time or your reservation will be canceled.